In recognition of Women and Science Technology month, please join us for a fun evening of networking and socializing with the tech savvy community of Silicon Valley! Come one, come all, bring your business cards, and schmooze with us as we enjoy the summer weather and good company! Complimentary Hors d� Oeuvres. Cash bar. 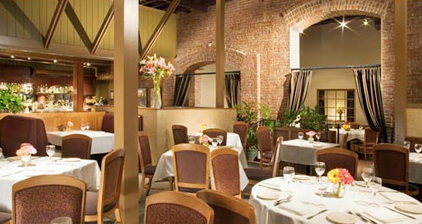 The event is being held at the California Cafe, in the Harvest Room (private event room). [The California Cafe is in the Stanford Barn, across from the Stanford Shopping Mall]. 6:00 - 8:00 Networking and Social Mixer!